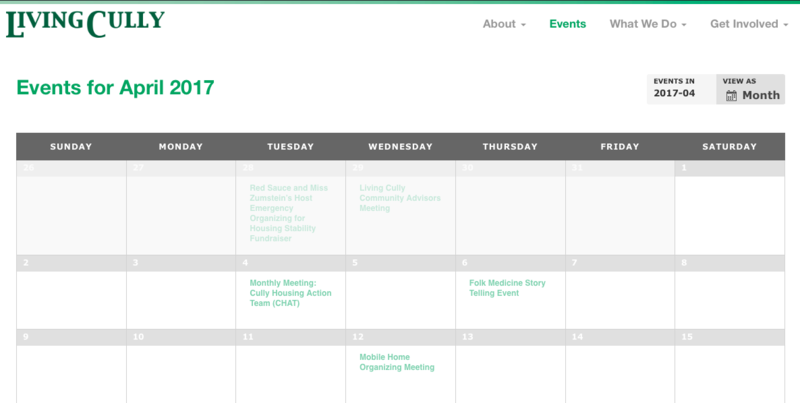 ​There is an events calendar on the Living Cully website, this we try to keep up to date with events that are happening in the neighborhood, as well as the events being hosted by our partner organizations. We also include events concerning the topics with which we are engaged. (e.g. affordable housing, anti-displacement, green development etc.) I filled this calendar with events I was informed of by Living cully Partners. The Oak Leaf is a mobile home park Cameron Herrington and Living Cully helped to organize in the Cully neighborhood. Last year the owner put the property up for sale, and the residents were at risk of losing their homes were the property to be bought and developed. Mobile homes are among the least expensive forms of housing, making it very difficult for resident to find alternative housing if this were to have happened. Living Cully helped the residents organize and bought the property, now working with St. Vincent De Paul to run a co-op with residents. 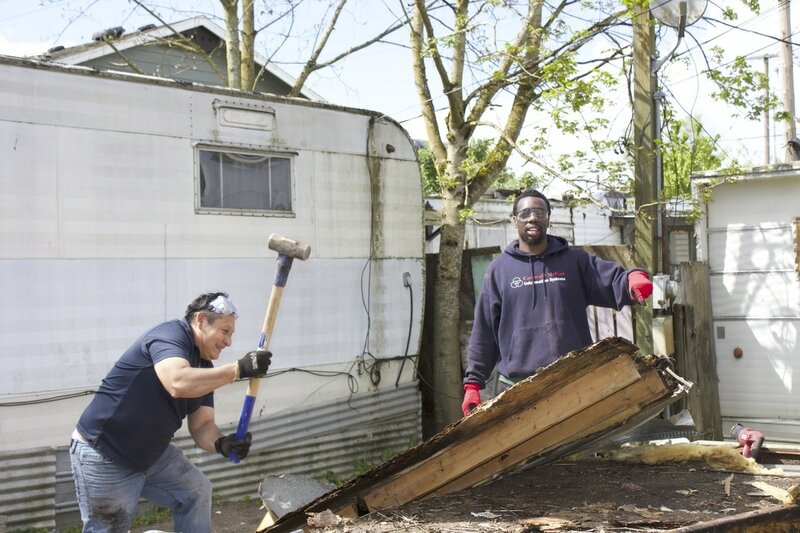 ​May 6th we hosted a community caring day where volunteers came and helped residents do some spring cleaning, deconstructing some unsafe mobile homes and cleaning out others. We helped residents get rid of some unwanted things they'd accumulated over the years, as well as some things that had been left by former residents to help clear out and beautify the park. In December 2016, Ira Virden of HFF real estate purchased the Normandy Apartments on NE Killingsworth Street and immediately informed the residents that their rent would more than double. 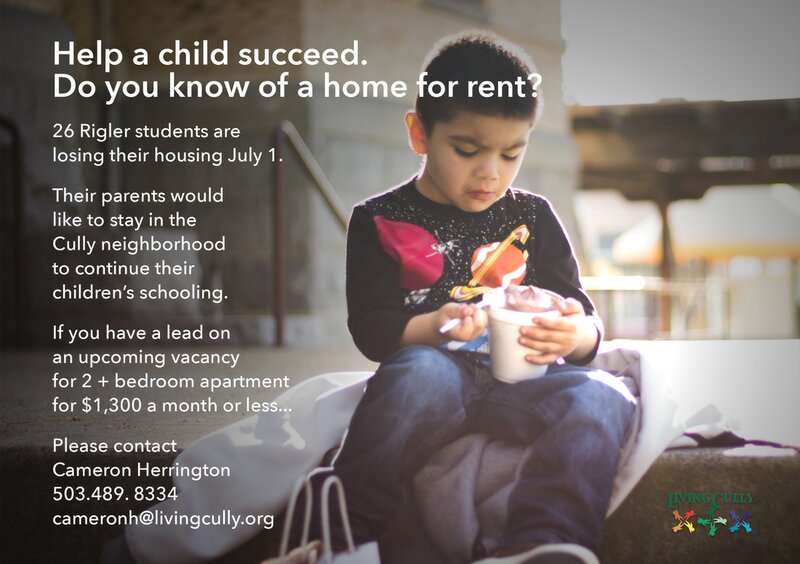 All 18 households include people of color, and the vast majority have children who attend schools in the Cully neighborhood. 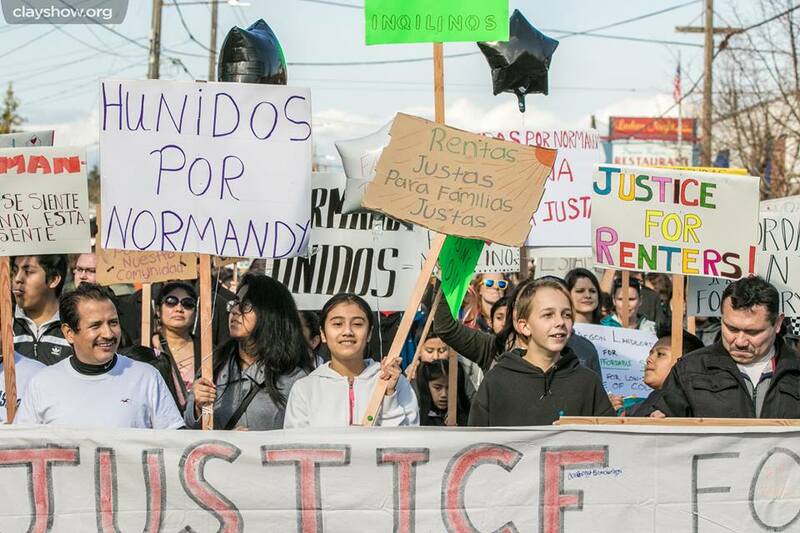 As a result of Ira’s predatory business model, 30 kids will lose their homes. Though he was presented with numerous opportunities to seek a solution that would keep the families in their homes, Ira remained steadfast in his resolve to increase rents -- from $620/mo to $1350. The rent increase will go into e ect on July 1, forcing almost all of the families out of their homes and out of their neighborhood. 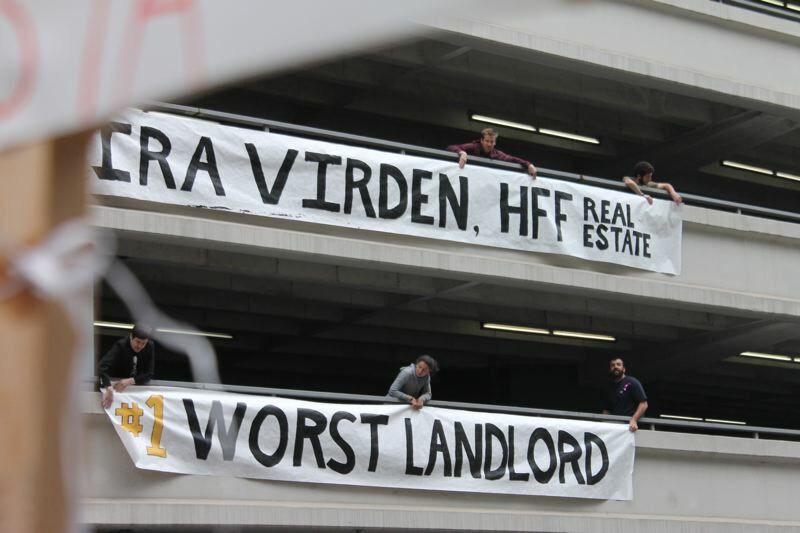 On May 25th we hosted the Greedy Landlord Awards in Shemanski Park, near HFF to again highlight the predatory practices of Ira Virden and the need for renter protections in Oregon. I helped with the planning of the event, procured materials for the awards and held the banners pictured on the left. See the write up in the Portland Tribune. Over the past few months, 12 latina women have been meeting twice per month to learn and practice sewing, with the help of Sara Moskovitz, a sewing teacher from PCC. The hope is to help these women gain the skills necessary to one day start their own business, for now referred to as Verde Sews. A survey of the women found they were almost all interested in either ESL or GED classes so I began my search for a teacher who would provide these classes pro-bono. This proved much more difficult than expected, though finally after far too many emails and dead ends, we began classes for this group of women in partnership with Patrik from People Places Things and the classes have been going wonderfully. After the first class, one student commented " I really like this class because we're learning about things that I use in my work and I will be able to use the English I learn here". The model employed by People Places Things is very hands on and an applied way of language learning, great for community classes like these for folks at different points in their abilities. I have been and will continue to assist with these classes every other Wednesday, we are hopeful that the class size and reach will grow. I helped with the creation and disbursement of flyers for various workshops and events hosted by Living Cully over the past months, see a few examples below. The first large project I engaged in as an intern at Living Cully was helping organize a drive of documents all submitted by members of a peer learning collaborative formed around the ideas of environmentalism and equity. 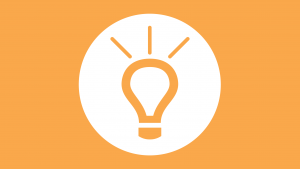 I created a folder structure so that member organizations could share information and resources in an attempt to share information and learnings between local and national organizations engaged in similar work. 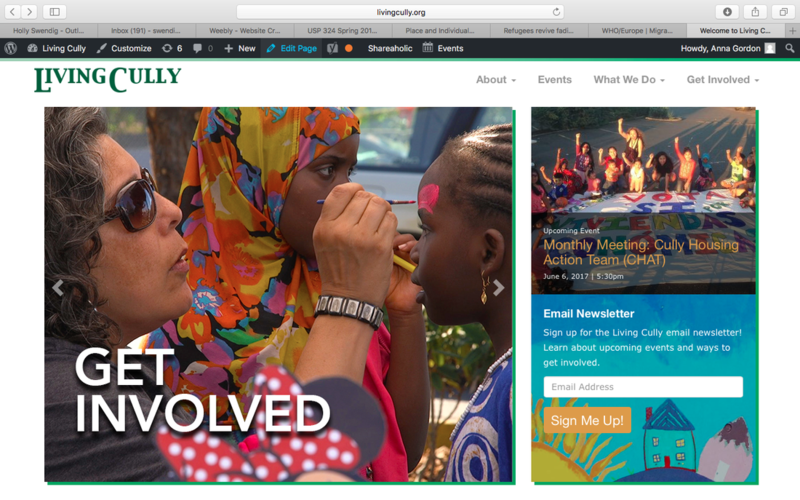 I helped organize and schedule for an in person meeting in Oakland, California. Among other things, in this meeting there were 7 Next Steps delineated in this convening, all proposed during a brainstorm during the meeting in Oakland. Among those next steps were things like further investigations into climate resiliency policy strategies, investigating policy to create an economic model for climate resiliency and anti-dispalcement as well as sharing resources to support community owned resources and community governace. In order to actually get an idea of where these next steps could be made actionable, we needed to talk to folks from all the participating organizations in order to see the specific things each organization is engaged in, as well as areas of expertise where they can share information to help other organizations learn from one another. I conducted phone calls with folks from 19 participating organizations asking them to prioritize the next steps delineated at the Oakland convening, talking about work they are currently engaged in, asking if they are interested in joining regional networks (this was a reaction to Trumps election) as well as any additional comments they wanted us to report back to Kresge, the foundation funding the network. After conducting all these calls, I synthesized the information gathered, highlighting 2 of the 7 next steps that the majority of the rep's from the organizations wanted to move forward, as well as some good ideas for furthering the work and ideas for the next convening. I presented my findings back to folks at Verde who then presented the information to their contacts at Kresge. Grant Recipients will be meeting in June and some of the findings will be used to create an agenda at the next convening. 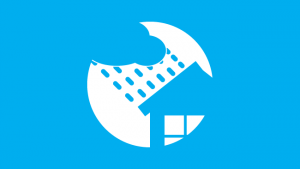 I conducted research project about weatherization for Carolina Ireheta of Verde. This included compiling information about the weatherization resources in Cully, as well as Portland as a whole. Conducting interviews with people form various organizations in Portland including NAYA, Verde, Habitat for Humanity, Multnomah County and Unlimited Choices, I compiled a body of foundational information about the resources available so that a summer intern will have a good starting point to conduct further research. 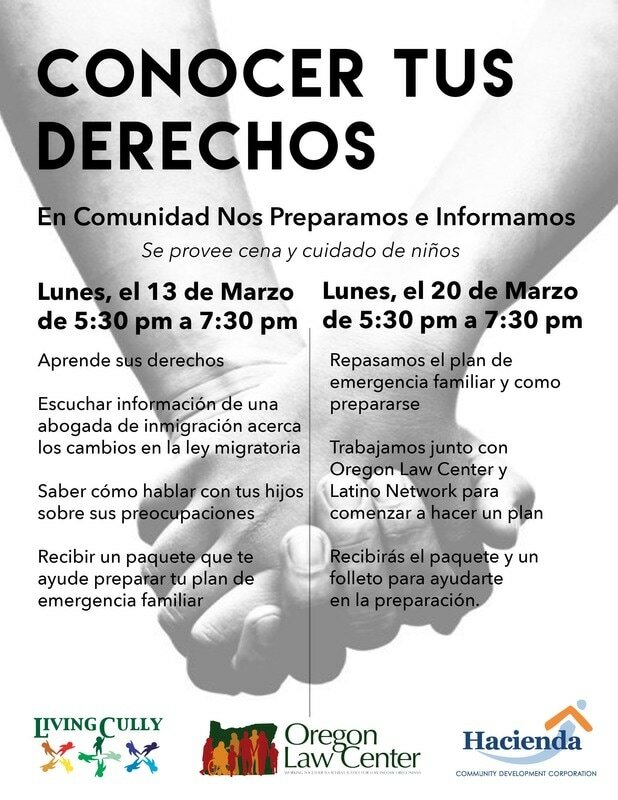 This information will be used to help uncover possible improvements to existing programs and the areas where there is room to develop other programs to be able to have a more comprehensive array of available services to Cully residents. Working with Living Cully has been a wonderful experience. Getting to know the communities they work with and all their wonderful partners within Portland has been incredibly rewarding and shown me a side of Portland that I wouldn't have otherwise seen. Having said that, to be aware of this whole other aspect of Portland, and to get to know all the people that comprise it, has rooted my passion and drive for the issues that face folks here and around the world. My respect for those that advocate for folks who have a harder time advocating for themselves has continued to grow. I've gained confidence in my ability to conduct research and talk to people working on these issues, doing what I can to gain insight into their projects and how they are run, with an ever deepening my respect for the organizations with with I've been introduced. Specifically, I have so much respect and revere for those that I worked with, Alan and Carolina of Verde, as well as Tony, Anna, Pedro and Cameron of Living Cully. 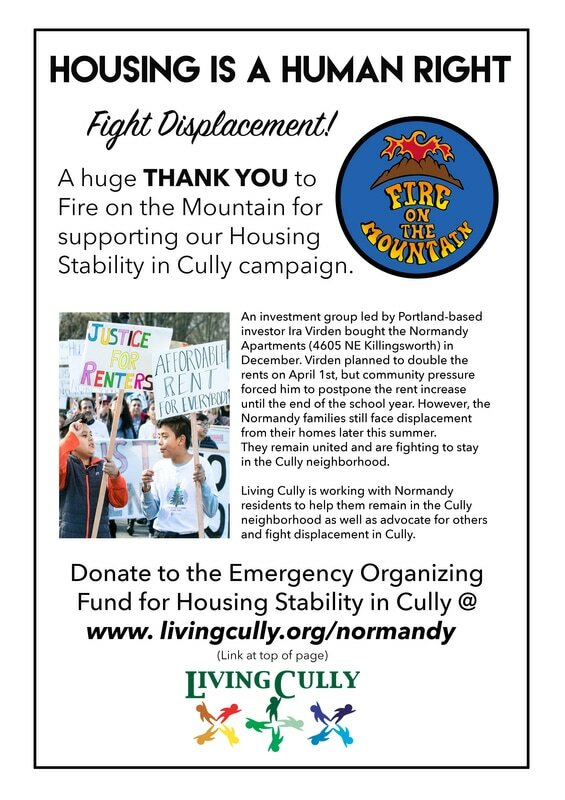 They all do tremendous work and have genuine connections to Cully and the amazing people that live there. I think the time with the staff of the Living Cully partners and time with residents was the most rewarding part of the whole experience, as it gave all of my learnings a resonance that cannot be learned in a classroom. I learned how to use Wordpress, conduct interviews and synthesis, phone bank, door knock, start and manage a crowdfunding campaign and juggle maybe too many things at once, though I wouldn't trade a second of it. As I mentioned earlier, there aren't many staff at Living Cully or Verde and I did my best to make it clear that I was open to helping with projects they could use my help on, making myself available to help with anything and everything I could. I believe I helped pick up pieces of projects throughout my internship where some extra help was necessary or appreciated and was able to provide support to many of the moving parts of the organizations. I was able to present two research projects to try to help add insight into different aspects of their work, help with organizing actions and events while keeping their website up to date. I had the privilege of helping these organizations and individuals do the wonderful work with which they are engaged and could not be happier about the outcome.